great designs! now I want cover dies! Very interesting use of the background die . This is so beautiful. I need to order some supplies! Wow!! Just love both of your cards. 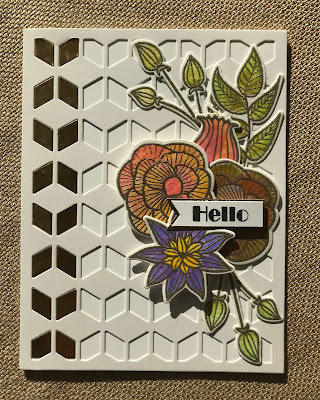 I watched the video on the Hello Card and learned your technique with Cover Dies. Now I want some! Gorgeous cards! Especially love the monochromatic one! two fantastic cards, Nancy - but the monochromatic card is especially wonderful!! Beautiful cards!! Love using cover dies & your ideas are perfection! Thanks Virgina, and I love all the support you have given us all. 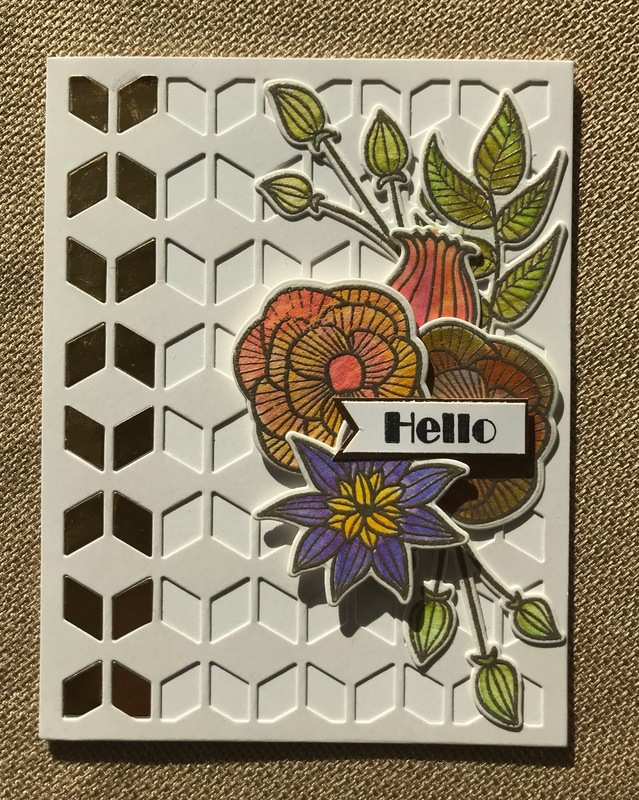 Thank you for sharing the tutorial for your beautiful card. Cover dies are THE BEST! Such gorgeous examples! 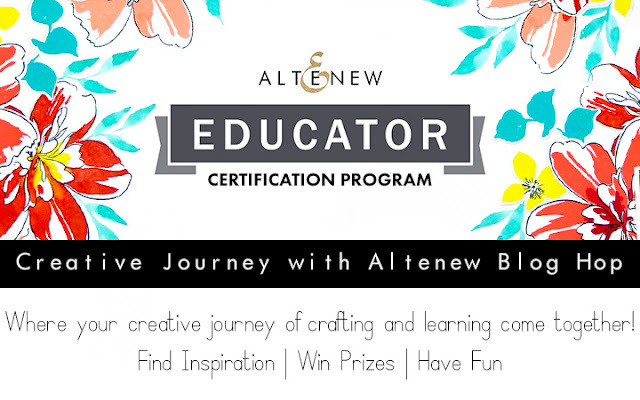 Thank you for sharing your talents (and the Altenew products) with us! I agree that cover dies really up the wow factor of cards. These are two really cool examples. I love cover dies!! They are SO versatile. Both of your cards are beautiful - I like the idea of putting the pieces back into the die background. Very nice job! Both great cards! Love the gold in the first one - but the second one is so gorgeous in it's simple colour palette - I love it! Very pretty cards! I especially love your first one. I am also a sucker for cover dies and would probably own dozens but the prices on my budget keep me in check lol!! Beautiful cards. I love cover dies but only own a couple. You created gorgeous cards that anyone would cherish! I like both cards but like the first one the best. Very nice cards. I love the background on the first one. Beautiful cards and awesome designs! Great idea for the backgrounds! I actually like the monochromatic card the best - so much texture! Both of your cards are beautiful! I like the gold shine of the first one and I really like the beautiful simplicity of the second one. Great job! Nancy, this is so so pretty! Love the embossing idea, I don't use my powders enough. I love the new inlay with die cut technique! Great card! Nancy, your cards are fabulous. I'm particularly drawn to the first one because of the stunning background you created. So unusual, then you added the beautiful flowers to put the icing on the cake. I need to keep this tutorial so that the techniques sink in. We don't have that "press and seal" over here in Australia, which is such a shame as you ladies use it all the time and it's fantastic stuff. Love your work. Thanks so much for the great comments. Yes go back on YouTube and refresh your memory. If you don’t have Press n seal, maybe a post it note? I love your beautiful cards! Especially the first one you did the video for! Thanks for the inspiration! If you get an opportunity could you please tell me what the product is that you are storing your glue upside down in?? Thank you! Congrats on achieving your Altenew Educator certificate! Gorgeous cards and such beautiful and creative designs. I love cover dies too. Beautiful cards!! I love Altenew's cover dies as well. Love the idea of a little accent for interest! I love this technique too! Beautiful cards, Nancy! 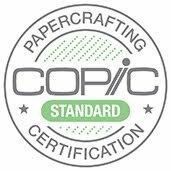 Congrats on earning your certification! Your cards are lovely! Very nice cards Nancy. Great job! Both cards are lovely Nancy and I really enjoyed seeing your video on your first card. Very clear instructions on your process. Beautifully done. OH Nancy, your video is fabulous! I love that you showed everything you did. You were so calm and through. Your card idea is just lovely! I love how you used the press and seal. I too love the cover dies and also the stencils for dry embossing. Great job! Congrats. Stunning! 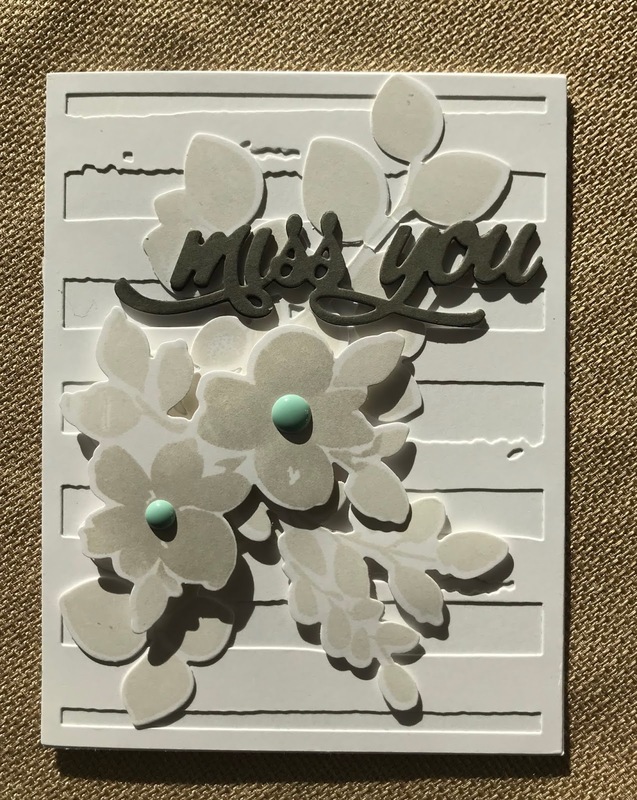 I love the gold and the layers in the miss you card! Stunning card and the added gold embossing is a treat so beautiful and your video is an asset to viewers. Very nice design. Quite an inspiration as I start my AEP classes tomorrow for Level 1. I will have to pay attention to your blog posts! Lovely cards! 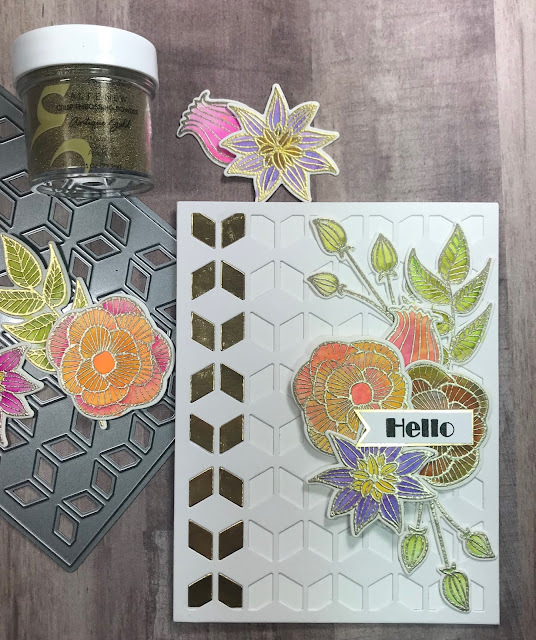 Love the gold foil and your pretty flowers!! Oh, I just love your monochromatic card, especially as it has one of my favorite dies on it--the leaf canopy! Thank you for the great idea! Congrats on completing your certification, Nancy. I have been following your work in the AECP gallery and I love your work. The cards today are really gorgeous and inspiring! Both of these cards look fantastic! I really like the inlaid gold pieces. They really add a touch of elegance. That striped cover die is one of my favorites. I love the background dies you used! They add depth and interest!! The monochromatic card is stunning. I love how you didn't go with the standard black and white but a white and beige vibe. The pop of colour with the dots adds the right touch. Great cards! Love the monochromatic one especially! Stunning cards Nancy, I love seeing your work, it's always an inspiration. Both cards are gorgeous!! I have the Cube Cover Die but never thought about inlaying only part of the die cut. It looks very cool with the shiny gold inlays on the first row. Thank you for sharing both cards and for the awesome inspiration with cover dies (I love them too lol). (mardy14@bellsouth.net). Quite a contrast in the two cards and both are stunning. Love the idea of using Press N Seal. Will have to try it. I haven’t used cover dies, but I like the extra panache they give your cards! Love the idea of cover dies. I'm definitely ordering some. Thank you so much for the ideas. Very nice card.... thanks for sharing!! I love your card and your creative ideas! Love the row of inlaid gold. Neat idea! I have seen that technique before, but that is really lovely. The gold really pops. <3 I will try one today. Your monochromatic card is especially lovely to me and well done on completing the AECP! Paper piecing on the background is such a great idea. Thanks for sharing. Two beautiful cards. I also like inlaying with die cuts as on your first example! Very pretty cards! I love your ideas for the background panels! They really add a lot to the card. I love the layered look, and they look amazing! That is a great technique. I love the monochrome look of the cover does...I definitely have to try that. Thank you for sharing!!! Oooh monochrome never looked so good! so nice to see your beautiful card. Thank you. Beautiful cards. 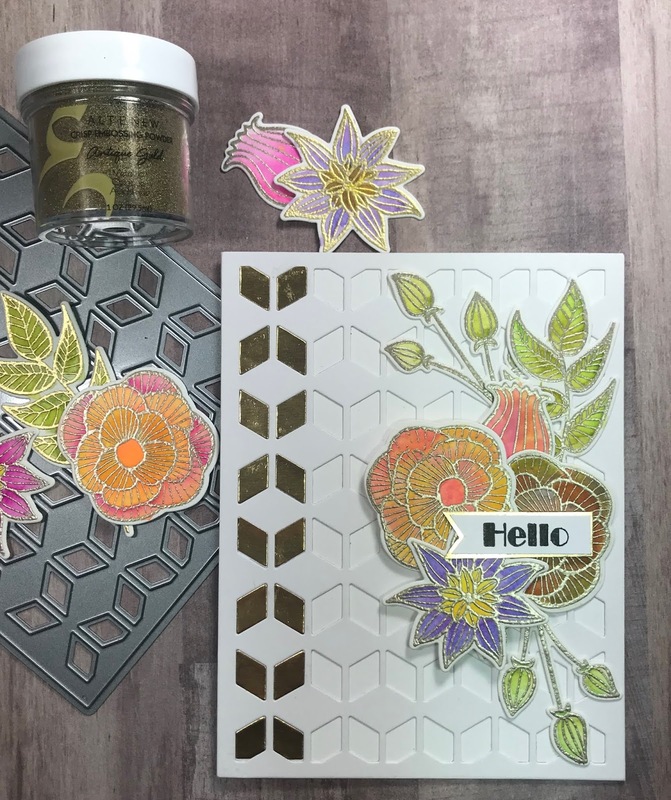 I have the leaf canopy stamp and die set on my "list"!! of the embossing. All are great cards. I think both of your cards are just lovely! The gold piecing on the edge of the die is a stroke of genius. Love that cube cover die. It's so versatile. Love the two cover dies you used. They are on my must have list! Beautiful cards. I like the backgrounds and the gold accents on the first one. Wow cards. Love the backgrounds and the colors. Great job. I enjoyed watching your video and picked up some great card making tips. Thanks! I love the addition of the gold. Yes, it gives such dimention to lay on top instead of a strip of gold underneath. Good job. Enjoy your new adventure. Beautiful cards! Enjoyed the video, great tips. Love the inlay technique and gold embossed flowers. i am in love with the altenew background dies. the one in the second card just awesome. you did a great job. Love the look of the cover plates...now I have to get some. Lovely card design. 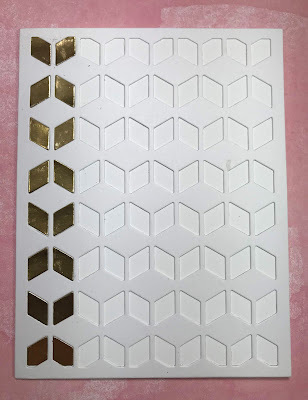 I love the cover dies and your tips for saving the cut out pieces in the die package. Never thought of using Glad Wrap for holding the pieces either. thanks! I luv how the inlay on your first card highlights the cover die but without becoming too busy. congrats on your certification! Beautiful projects as always, Nancy! These cards are just gorgeous. I love the cover dies. Thank you for the press and seal idea. You did a fabulous job demonstrating the beauty of the product. Congratulation on your achievement! 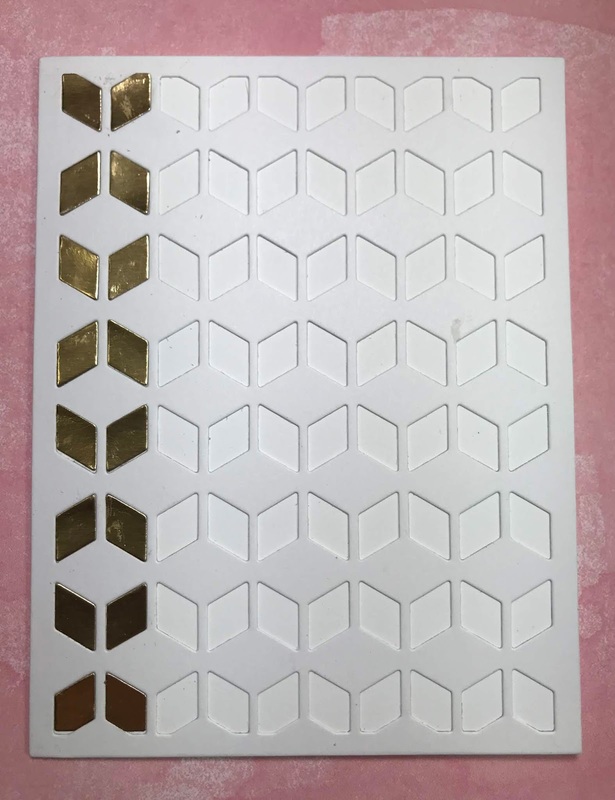 I'm glad you showed examples of just putting the gold mirror CS behind the die cut versus inlaying it. It is SO much classier inlaid. Beautiful cards! Gorgeous cards! I love the different cover dies you used (now they're on my 'want' list!) The press 'n' seal tip is a game changer! Love your cards. I also like using cover dies. Beautiful cards! Love your cover die technique. Thank you for sharing! Love the texture and design the cover plates add to a card! I absolutely love your card. It is so beautiful! I subscribed to your youtube channel. Thank you so much for sharing your beautiful ideas. Two fabulous cards and love my Altenew products!!! Am always wanting to learn more so am in love with your inspiration and tutorial!!! I am another fan of cover dies. I love what you did with this one....and so glad I own it, because I am going to give your ideas a try! Thanks for the inspiration! These are so beautiful! Love that first card!